These TV brackets by Ross are compatible with all major LCD, LED and Plasma TV’s. They feature an easy slide on installation with safety locking screws built in, come complete with fitting instructions and fixing kits and an integrated bubble level for perfect installation. 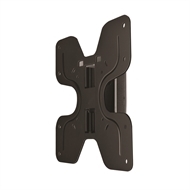 Ross TV Bracket Flat to Wall 23-50"